Part of MSEE courses. Graduate. Analysis and design of linear multivariable feedback control systems. State space techniques are emphasized. The problems addresses include: linear optimal regulators and observers, optimal output feedback, tracking and disturbance rejection, robustness analysis and loop shaping. 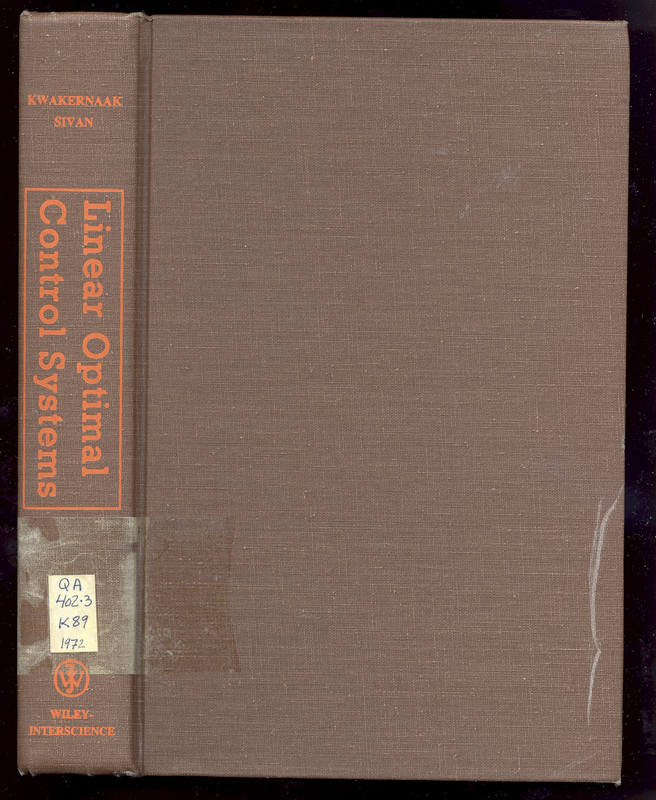 Linear Optimal Control Systems. by Kwakwenaak and Sivan. I lost all my notes for this course. Here is some matlab code I seem to have written for this course.